It’s -21F (-29C) and the temperature is still dropping. My kitchen window is completely covered with “fern feathers”. 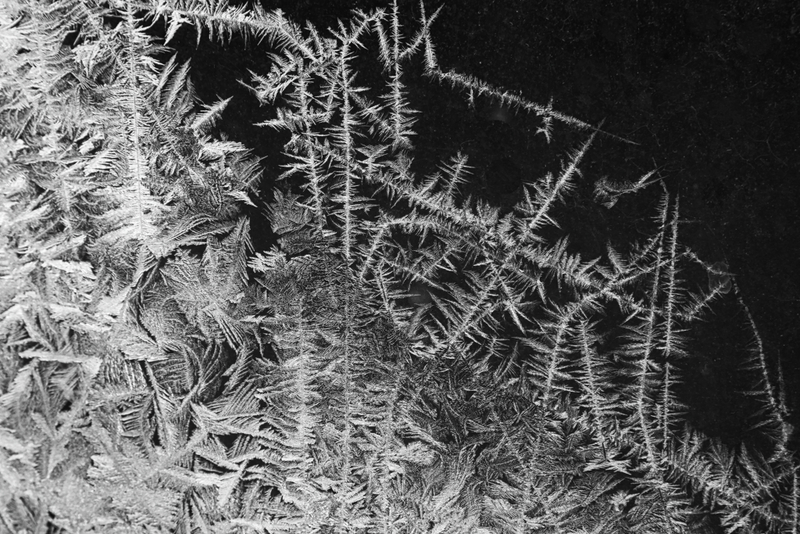 The ice crystals have grown from single stalks to full fledged sheets of ice as the temperature outside the window drops. 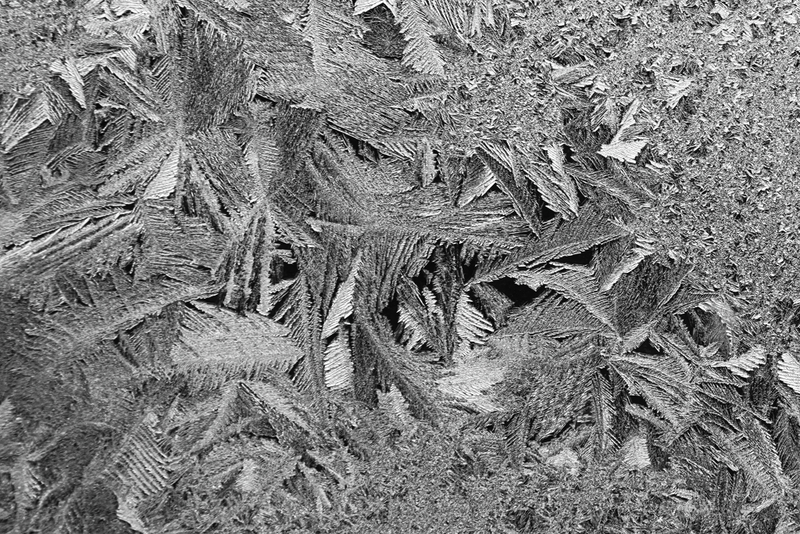 Initial formation of crystals enlarges quickly in the intense cold. The ice crystals sort of resemble palm fronds that have fallen to the ground. This entry was posted in Uncategorized and tagged ice crystals by Sue. Bookmark the permalink. Jack Frost has painted your window panes. He’s an abstract elaborate expressionist. Gorgeous! So many shapes and patterns! Endless ways to capture all sorts of crystal formations. Beautiful, but deadly! Such is life! And we complain in Florida when it gets as low as 50. Good luck and great photos. Yes, I’m here in my warm house, but I wonder how the wildlife are coping with this weather. Very nice! Love the ice patterns! Beautiful pictures – stay warm!! 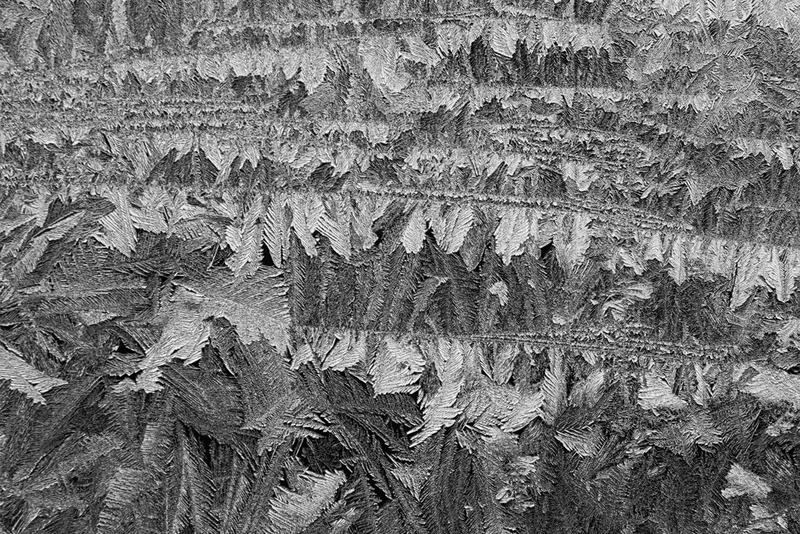 I never get tired of ice crystal patterns, so intricate and unique!